At 2:02 pm Tuesday, May 1st, 2018 Central York Fire (CYFS) responded to reports of a structure fire at 155 Savage Rd. in Newmarket. Upon arrival, crews reported smoke coming from the basement of a two storey single family dwelling. CYFS has four trucks and 20 personnel on scene, working with York Paramedic Service and York Regional Police. The occupant that was seen by the Paramedics did not need treatment, and there were no environmental or Health and Safety concerns at this time. The children at Armitage Public School are being held safely at the school. A safety perimeter was established to ensure the kids could safely move around the area, were released on time and able to travel home safely. CYFS has one truck left on the scene with four firefighters as well as two investigators. 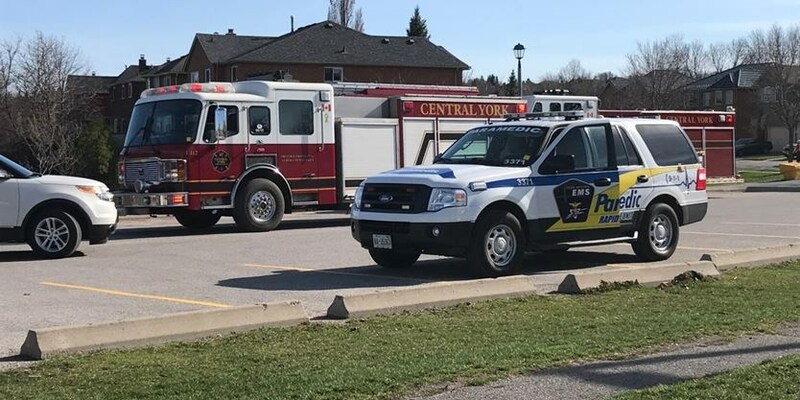 I would like to thank the teachers and administration of Armitage Village Public School for their thoughtful actions in keeping our children safe, Central York Fire for handling the situation, keeping everyone safe and informed. I would also like to thank York Regional Police and York Region Paramedic Services for their assitance care and respose to the situation.